Maxi Taxi St Kilda – St Kilda is an inner suburb almost 6kms from melbourne CBD. Its comes under Port Philip Council. St Kilda was named by Charles La Trobe, after a schooner, Lady of St Kilda, which moored at the main beach for much of 1841, and the ship’s master and early settler Lieutenant James Ross Lawrence. 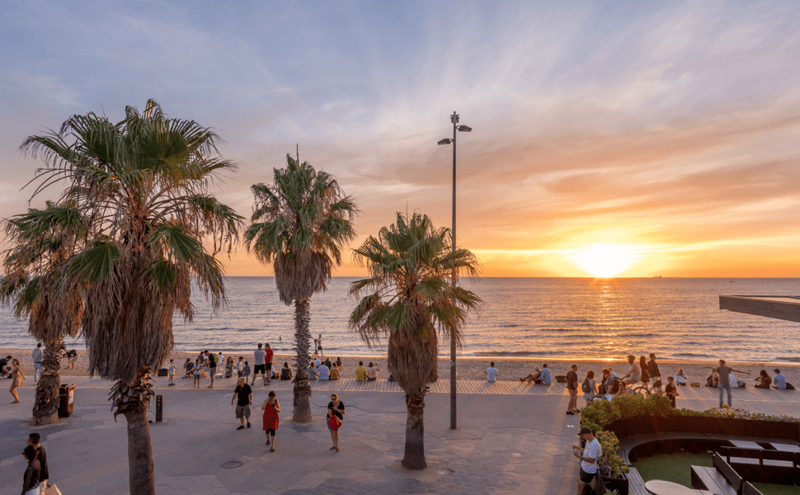 St Kilda has many visitor attractions like Luna park, the esplanade Hotel , Ackland Street and Brunswick Street and the most famous St Kilda beach. Driving to St Kilda is a problem as Parking has always been an issue around this area. Maxi Taxi Melbourne specializes in service which is also known as Maxi Taxi St Kilda. This service is only designed for people coming in and out of this suburb and surrounding suburbs. St Kilda beach is one the closest beach to melbourne CBD. It has amazing views. It aso features bike tracks and seawater spas and sea baths. Maxi Taxi Melbourne has a depot in St Kilda suburb. We have 11 seaters in fleet. Our maxi taxis can pick you up from your hotel and bring you to St Kilda where customers can enjoy the beach, Luna Park. Customers can spoil themselves with so many lunch options on Ackland and Brunswick Street. Our fares are very standard. For all the customers staying in or around St Kilda, we also have special service from St Kilda beach to Melbourne Airport. Maxi Taxi works out to b cheaper option where there are more than 5 passengers. St Kilda is home to almost 1400 penguins. These penguins can be viewed by public every night. Penguins can be viewed at breakwater point. the best time to view them is 30 minutes after sunset. Maxi Taxi Melbourne has special customized tours for Penguin viewing. To make a booking, Please call us on 0469 283 466 or press Book Online Now/Get a Quote at the top of the page.